Yesterday I posted a wordless wednesday picture, and I wanted to tell more about it, it seemed that last sunday was already one year ago, we had this amazing event of the dutch Borzoi club. 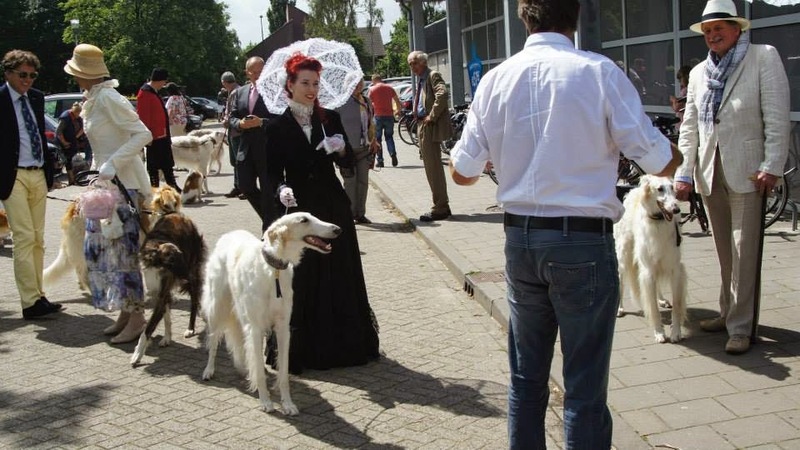 The dutch borzoi club had called all members to come for a great parade with all our borzois, in the main ring of an Arab horse show. They liked to have a nice intermezzo in their show, and it was for the borzoiclub a nice way to present our breed in a very beautifull way. There was only 1 important thing, we all needed to dress as beautifull as possible, it was wonderfull to see, that all people did their extreme best to look like persons from long forgotten times. 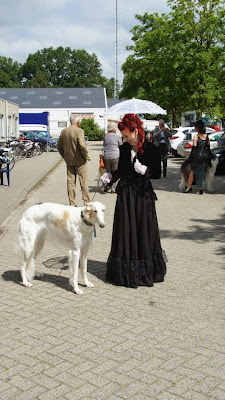 Everyone was so beautifull dressed, and it was really special to see all those beautifull borzois with their owners. 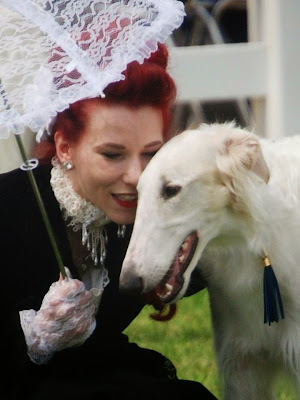 Mr Andre vd Broek spoke about our beautifull breed, in the big ring. 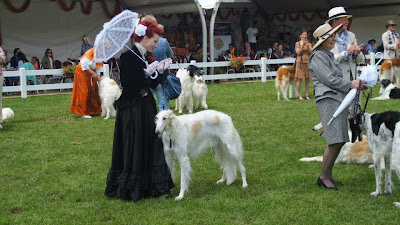 I felt very special, and very pretty and Anna and me where selected in the big group with the last 3. It was amazing. Afterwards we went to look at the amazing Arab horses wow!!!! I never been on a horse show, and never to a concours d'elegance so I did my extreme best to dress as pretty as possible. 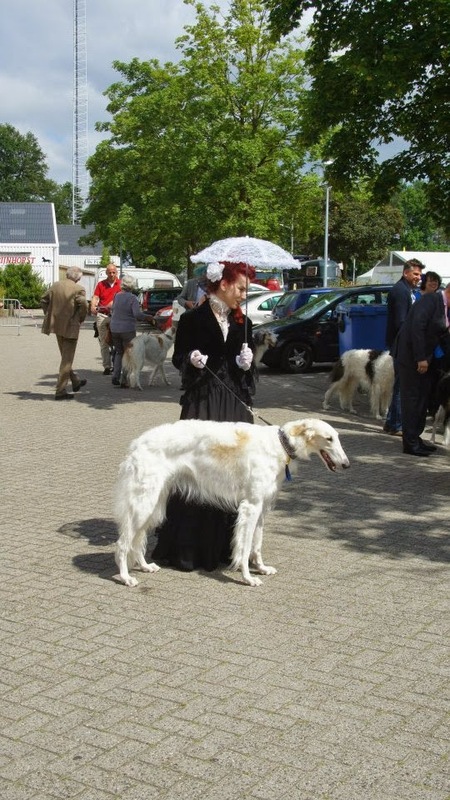 My choice was a Victorian outfit, and I went in black because it would look better with a white borzoi.